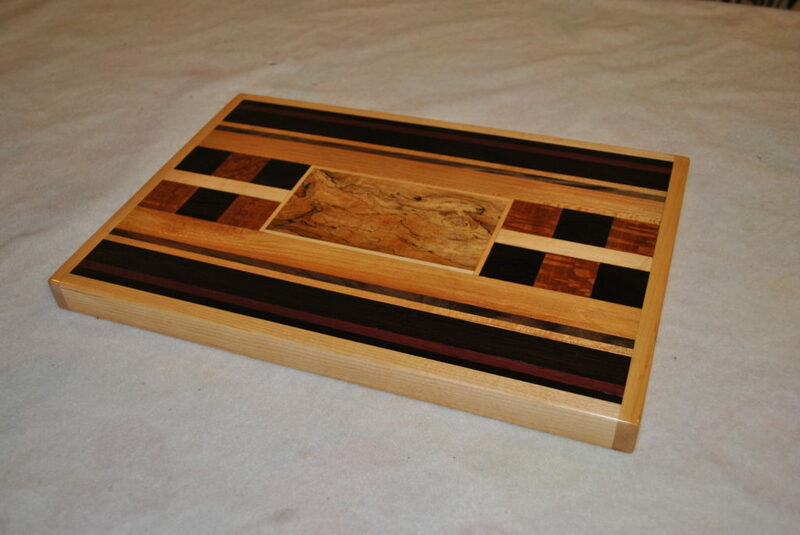 My cutting/serving boards are made by laminating 3/8" solid stock onto a 1/2" or 3/4" plywood base. 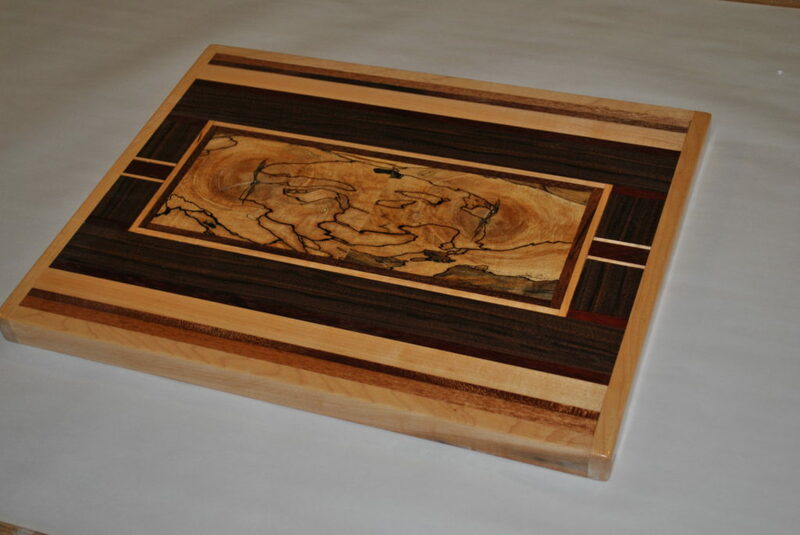 The edges are wrapped with solid maple. The plywood substrate creates a solid base that will not warp. 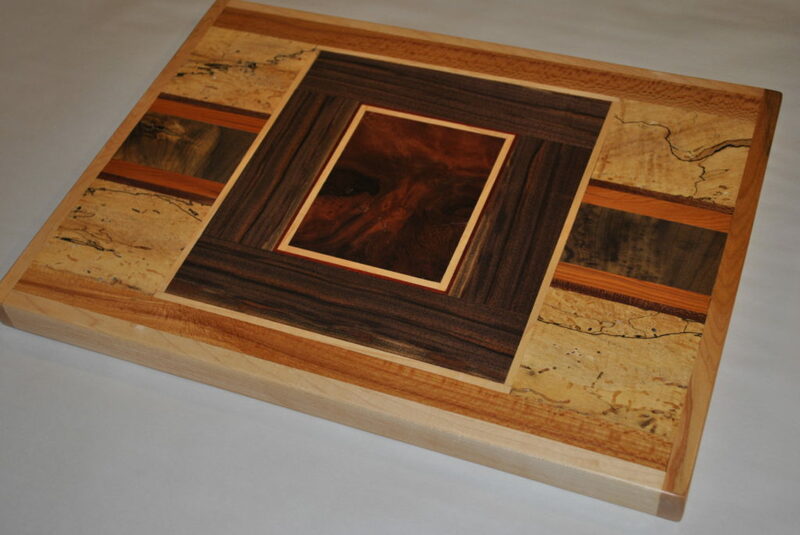 I choose highly figured hardwoods for each project, and no two boards are exactly alike. 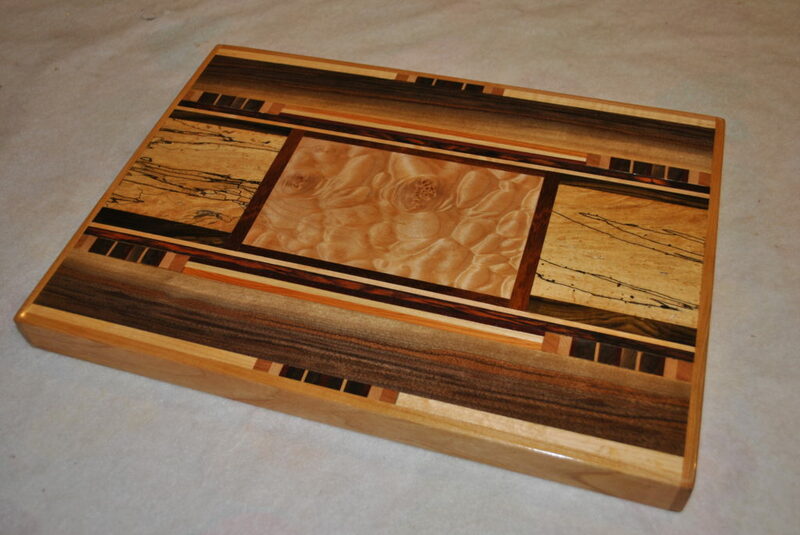 The surface of each board is sanded extremely smooth and finished with five coats of salad bowl finish. I don't know if it's good or bad, but few of my cutting boards ever get cut on. Most people state they are simply to nice to use. I've seen them hung on a wall, used as display pieces, or used as decorative pieces of kitchen art. But, they are made for kitchen use. 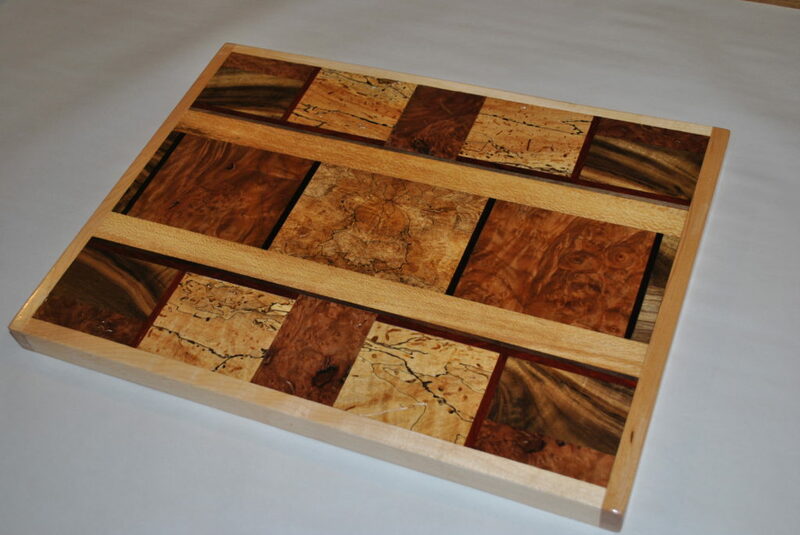 Many of my boards are used for gifting as they are very unique. After use, clean the boards with a damp cloth. 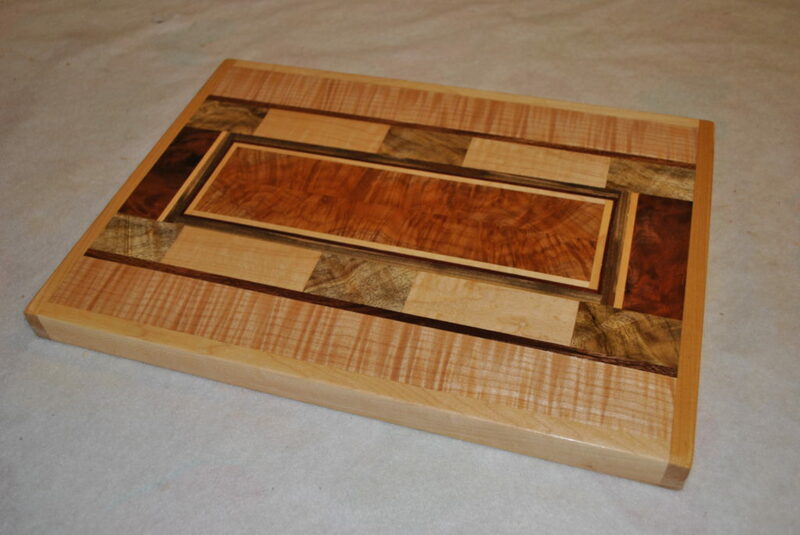 Never immerse any cutting board in water or wash in a dishwasher. 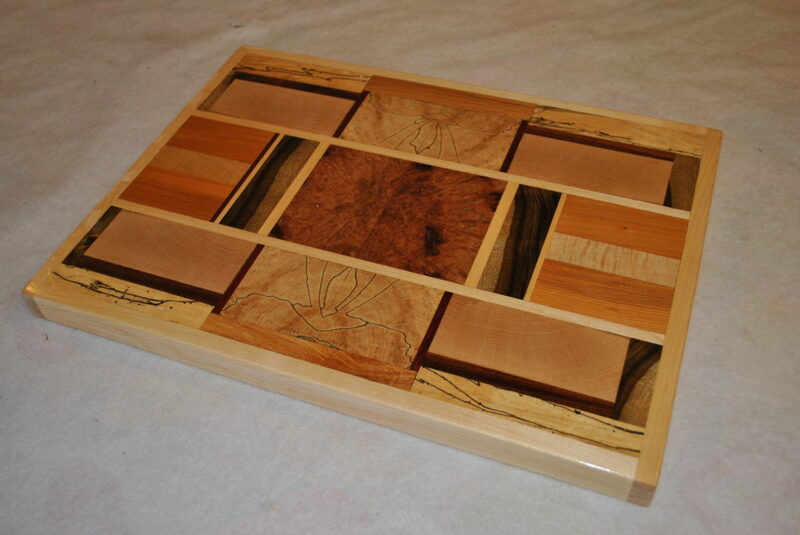 Each board measures approximately 12" x 17" and sells for $125.